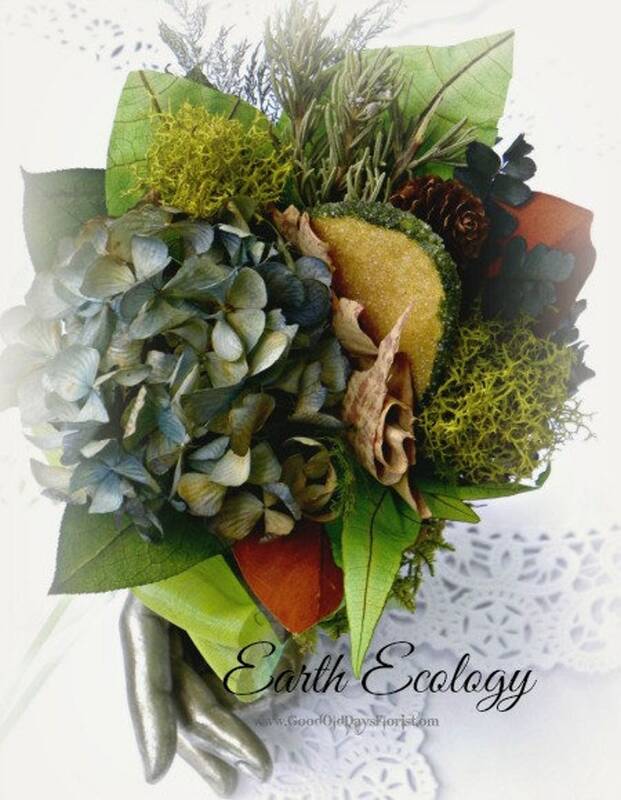 A unique find for the green eco-minded, the earth lover, the outdoor lover, or the gardener. 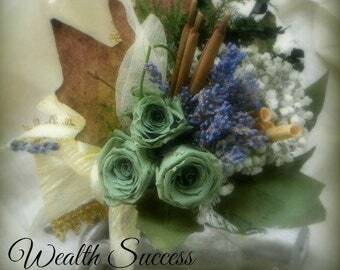 This tussie mussie bouquet is in tones of blue & green to celebrate our planet and.. our love for it. Accented with an extra wide,chartreuse, organza bow, birch bark, cone, and a faux pear. Maternal love and gentleness to our earth that we are connected. Be just , be sincere, and preserve its beauty. She is our comfort, and hope in all adversity; remember her always and be devout to her protection. 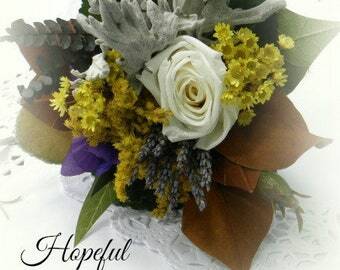 Tussie Mussie.....A Victorian bouquet of fresh & dried flowers chosen for their sentiment according to The Language of Flowers, Objects, & Colors. 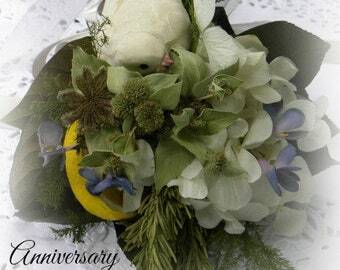 I have renewed this tradition and designed them of dried & preserved flowers with painstaking detail per sentiment for a wonderful, forever collectible bouquet. Every flower, little bud, bit of herb, accessory, leaf, and color has been specifically chosen for its meaning, as the detail is what makes them fun and enticing. They are just charming. App. 7" in diameter, scented, accented with all the pomp & circumstance of the era, and vintage and/or French ribbons. Stems are leaf wrapped for the handle with over sized bow. 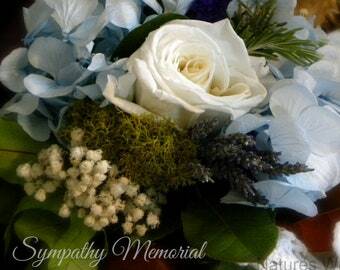 All Tussies are fancifully wrapped in colorful tissues with a Victorian calling card of the message it speaks. To be totally authentic as they were.... you may add the plated, tussie holder and shower petals. 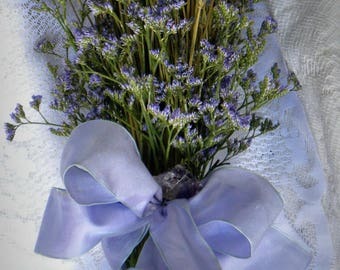 Or, if you have your own secret thoughts; I will create a custom bouquet with your message. 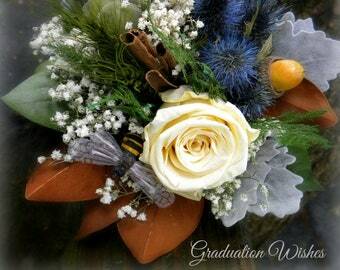 I can also create a corsage or boutonniere to compliment or as itself. See details below. History.....Tussie Mussies were a charming flower custom dating to the 18th into the 19th century. A time when decorum was paramount and sentiments were only hinted and carefully spoken. 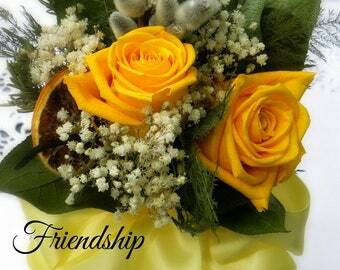 Flowers and items were tightly wrapped in little moss bouquets to reveal a secret message known only to the recipient. Enjoy! *Custom orders may take up to 2 weeks depending on the time of year. 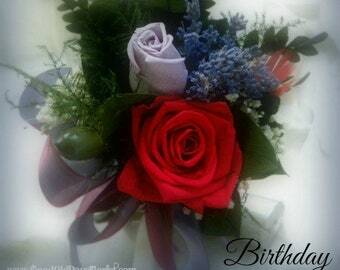 *I have researched close to 35 sentiment/occasion Tussies so far and more coming... or you may request your own message and I will create it in flowers for you. 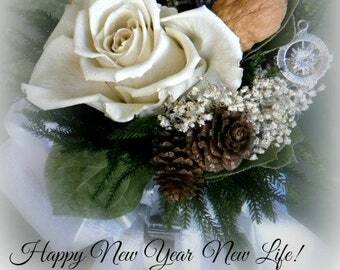 **Please note that Holiday Tussie orders must be ordered 2-3 weeks prior-thanks! Fanciful tissue and ribbons in a box creatively repurposed! Wonderful, wonderful! Fast ship and well packed. This is so cute. I'm going to attach it to the frame of a crib mobile that plays music. Very fast service.